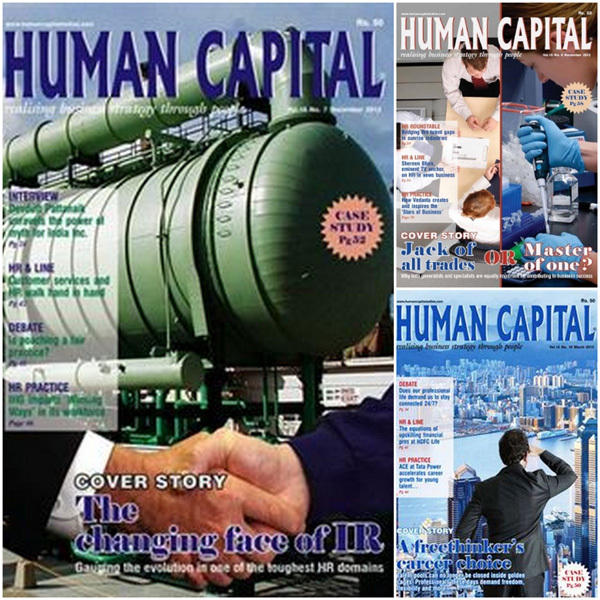 Human Capital highlights fundamental human capabilities, limitations, and tendencies, as well as the basics of human performance, with the goal of promoting improvements in the human-system interface that lead to safer and more effective use. The magazine is also available online. Business Magazines of India help you follow news updates about business. They publish market and business updates every month with articles about the corporate leaders, technology, wealth and finance, current affairs, business performance management, business mthodologies, metrics and processes, Solutions for financial executives, legal news, global economy, entrepreneurship, News, opinion, and community for business leaders and investors, industry features, interviews, market briefings, reviews of books, feature columns, screening tools, Corporate responsibility and social investing report, international issues, database and corporate governance resource, latest data and trends on customer service worldwide and even more.